A village in Wisteria | Between Two Tides. How beautiful! I love those cascades of pale purple. Thankyou Sue. My best wishes to you. 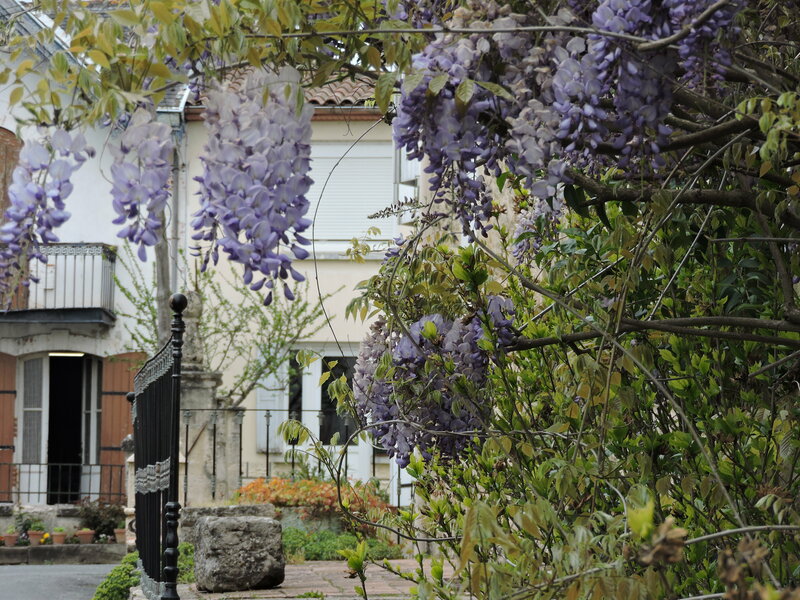 Hi, you were one kilometre from my home, and yes the wisteria was stunningly beautiful. I should have taken my camera there but I wanted to feature another village. 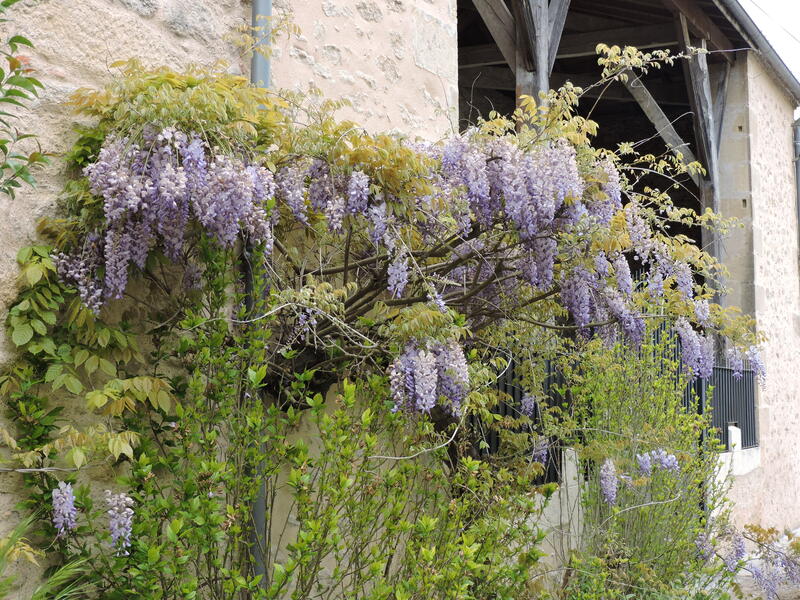 Wisteria is one of my favourite blooms and has a wistful connotation for me too since we had it all over the back of our house when I was growing up and my father often popped up at my window to prune it back when I was sitting reading or daydreaming and we would chat …. your poetry, your prose and your photos are a delight. Hello, it’s taken me a long time to reply. I too have moved, from one country to another. My blog will remain, but there will be changes, as yet I’m not sure of. Thanks for your lovely memories and comment. Blue rain– that’s lovely, thanks. Another beautiful post 🙂 The pics are great. 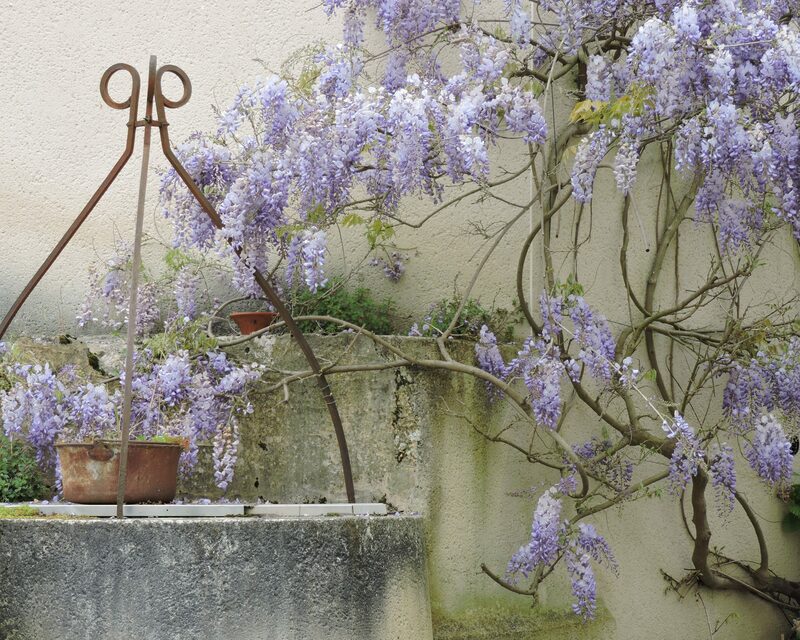 Wisteria is among my fav… the color and the lush vine make me happy; thats what plants do. I found your comment on crushedcarmel and read her comment about your beautiful photos, so here I am to see for myself. 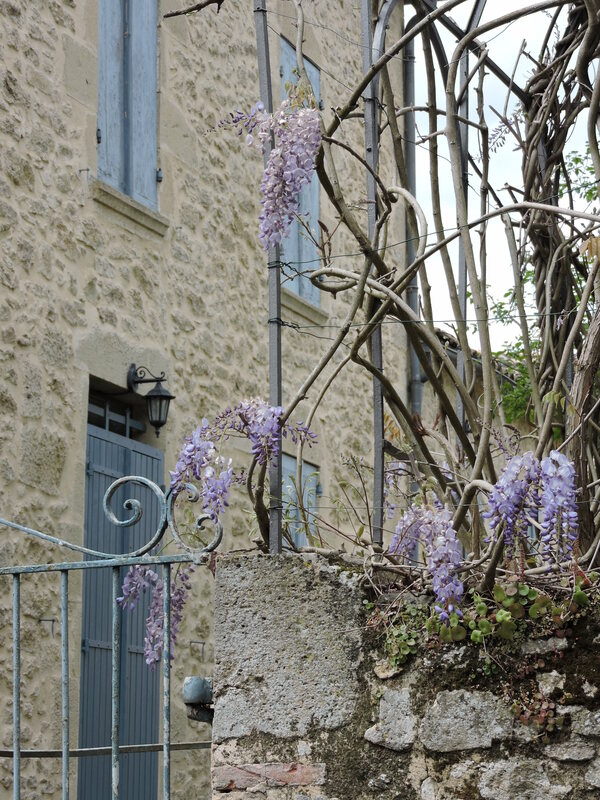 I wrote a book some time ago (not yet published as it is full color) and needed a photo of wisteria for one chapter. I had no idea where to find it, or whether it even grew in this area (Southwestern Ontario, Canada). One day I was driving past my apartment building to take a friend home and happened to glance at the fence between the townhouse complex next to us and the house beside it. I said to my friend, “I think that’s wisteria!” Of course until I saw it up close I didn’t know for sure. I went home, parked my car and walked over to the fence. Sure enough, it was wisteria. A darker purple that in your photos. I had my camera and took a few photos and was happy as a lark. I will come back to look around your blog when I have a little more time. Thank you for the pleasant tour. Thankyou for visiting my blog and for your comment. 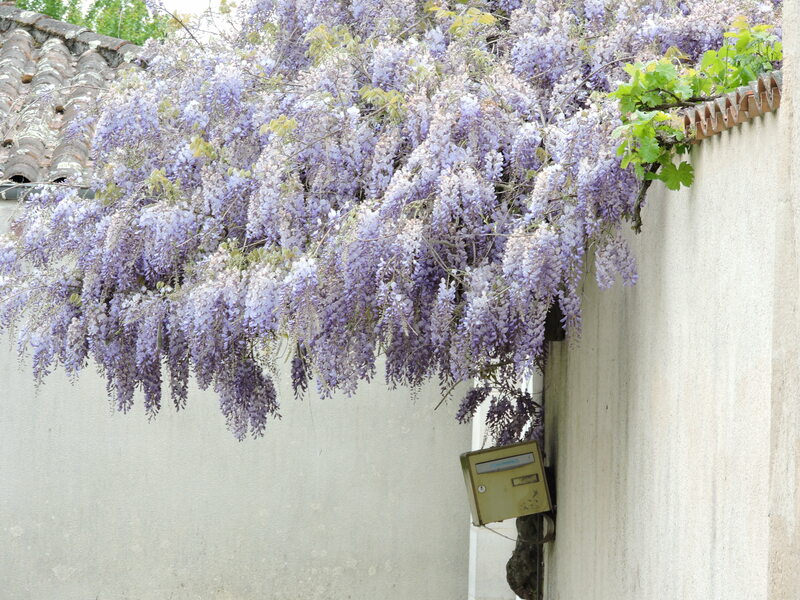 I’m glad to hear that you discovered Wisteria in your neighbourhood, and it sounds a beautiful shade of colour. Thanks for your compliment and comment. I’ve neglected my blog as I’ve moved away from France and am now living in Wales, UK. There will be a change to my blog, but I’m unsure of how at the moment.